Do you have a resource for effective, efficient and equitable healthcare – either something you have published online, or something that you have discovered online that you would like to share with the MedicalAutomation.org community? Please submit a website link to your resource below. 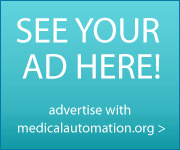 MedicalAutomation.org will consider your resource for inclusion on our site.